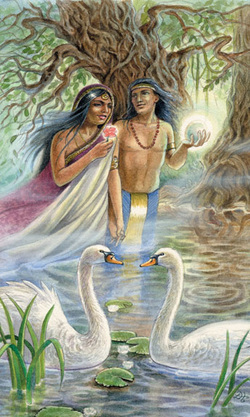 Hi Jody- I felt that you really needed more than just a card draw.Here is a reading to let you know what path you need to take to find your true love. It's called, "Cupid's Arrow." I hope it's helpful! It is divided up into 4 videos simply because it's faster to load up yo You Tube. In order to see these videos, you must have the link. They are not publicly posted on You Tube. If you want a better look at individual cards, you can click on the image to the left and it will take you to The Animals Divine Gallery page! Please let me know if you have any further questions!Brightest Blessings!